Ready the popcorn and tissues! (SPOT.ph) With everything our moms do for us, it’s hard to believe we only dedicate one day—aside from their birthdays, of course—to celebrate just how great they are. (Knowing our moms, they probably understand.) But even if you can’t celebrate Mother’s Day every day, it won’t hurt to appreciate your mom every now and then. 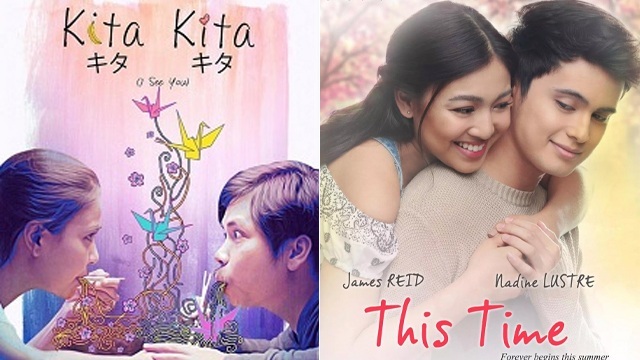 So we round up 10 heartwrenching Pinoy movies that might just have you calling up your mom and asking her about her day. Better yet, they’ll make for great, tear-filled marathons with your momma by your side. After his wife leaves him and their children, Edward (Christopher de Leon) falls in love and marries the caring Mariel (Sharon Cuneta). But Edward’s three kids (Claudine Barretto, Patrick Garcia, and Camille Prats) aren’t too happy with the situation and refuse to accept Mariel as their new mother. Still, Mariel tries to earn their love and trust and proves to them that being a family isn’t always about being related by blood. 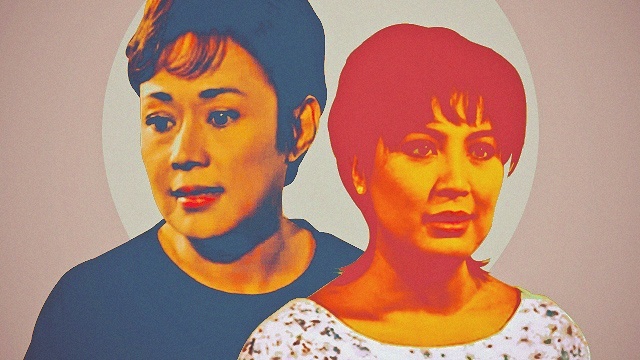 Josie (Vilma Santos) leaves Carla (Claudine Barretto) and her two siblings behind to pursue a job abroad. Josie sees it as a way to earn money but Carla sees it as Josie abandoning her family. When Josie finally returns after several years, she was expecting a warm welcome but was greeted instead by cold shoulders and distant children. Then the people around Josie start borrowing the money she was planning to use to start a business. Eventually, Josie’s kids start warming up to her except for Carla, who starts going out with different boys to spite her mother and ends up having multiple abortions. If you’ve ever had a rebellious phase, this film will make you want say sorry to your mom for all the dumb things you did as a teen that acted like you know everything. Gemma (Maricel Soriano) longs to be reunited with her son as she comes home to the Philippines after serving her prison sentence in Canada. But the closest she can get to her son is to get hired as a nanny by Cindy (Angelu de Leon), her ex-husband Edwin’s (Edu Manzano) new wife. She tries to show her love for her son in her limited capacity, but she’s determined to bring her son back home with her. It’s a whole new level of “so close, yet so far,” and you’ll see that moms really have their own ways of showing you they love you. Tear-jerking line: "Hindi ako aalis ng bahay na ‘yon hangga’t di ko kasama ang anak ko." Ina (Ai-Ai delas Alas) is having trouble making ends meet as she’s left to take care of her 12 kids after her three husbands pass away. To cover the costs, she works multiple jobs every day—including being a stripper! But each of her kids all have problems of their own, like finding a job, getting a girlfriend, and getting circumcised, and Ina manages to make them all even worse. This movie might be a comedy, but it won’t fail to make you smile and be thankful for the lengths that moms go through for their kids—even if they don’t always go according to plan. Tear-jerking line: "Walang inang hindi napapagod. Napapagod din ako pero kinakaya ko." Based on real-life stories gathered by director Chito S. Roño, this drama follows the story of Sarah (Sharon Cuneta), who quits her job as a teacher to work as a caregiver in London with her husband. After she gets over the initial awe of working abroad, Sarah soon finds herself busier and more homesick as ever. She finds comfort in caring for a wealthy old man and his grandchild who reminds Sarah of her own son back home. As Sarah starts succeeding, her husband Teddy (John Estrada) becomes an alcoholic and forces her to quit and go back to the Philippines with him, but Sarah knows that if they go back home, they’ll go back to the same old problems. It takes a lot for a mom to choose to leave her family for their own good and it takes just as much to be apart from them for so long. This drama was already one for the books as it featured real-life mother and son, Vilma Santos and Luis Manzano taking a mother-and-son role on the big screen as Shirley and Mark. But it became all the more interesting to watch as Mark is actually gay and in a relationship with Noel (John Lloyd Cruz). Though Shirley already knew about Mark’s homosexuality, things get more complicated when she moves in with them in New York. While the strict and conservative Shirley might be difficult to understand, you’ll get to see that moms have their own ways of dealing with things, too. Tear-jerking line: "Anong hindi ko siya kilala? Anak ko siya, sa'kin siya nanggaling! Akong nagpalaki sa kanya kaya bawat hininga't utot niya alam ko kung anong ibig sabihin!" After Melinda (Sharon Cuneta) gets married to Alfonso (Christopher de Leon), his disapproving family disinherits him, believing that the marriage is cursed. The couple experience a short-lived success for their business, but soon enough, everything that could go wrong, does—Alfonso dies from a stroke and Melinda is forced to stay with her in-laws and her in-laws take her children from her as well. Melinda is left to build her own business from the ground up all by herself just so she can someday come back for her children and take them home with her again. Tear-jerking line: "Bakit niyo 'ko ginaganito? Ano ba naman 'yong pag-usapan muna natin? Ano ba ako dito? Tau-tauhan lang?" Medy (Pokwang) goes to the United States for what was supposed to be a quick job, but she decides to stay behind to look for work—though illegal—so she could send money back home. She jumps from one job to another and ends up as a househelper for a wealthy couple who verbally and physically abuse her—even going as far as hiding her passport so she can’t go home. Medy keeps on working as she has to send money to her sick daughter, but when she returns, she finds that home isn’t what she thought it was this whole time. Medy’s story may not be unusual, but that’s what makes it even more heartwrenching. Tear-jerking line: "Bakit mas excited pa silang makita 'yong nilalaman ng balikbayan box kaysa sa akin?" After she finds out that she has stage 3 cancer, Vivian (Vilma Santos), a strict and career-driven businesswoman hires nurse Jaica (Angel Locsin) to tend to her. But Vivian, harsh, snarky, and temperamental as she is, still has a soft spot for her estranged son Albert (Xian Lim). Jaica tries to patch the two up but their pride gets in the way and you’ll see that while every mom always wants the best for their kid, sometimes they just have a difficult time expressing it. Tear-jerking line: "Baka nga kailangan ko talaga ng deadline. Sana nga lang wag masyado mabilis." It doesn’t get any more legit than this. The documentary follows the everyday lives of Filipina domestic workers in Hong Kong. On weekdays, they tend to the families and the children that they work for. Some take care of senior citizens while others bring their alaga to and from school. Their only day off is on Sundays, when they all meet, dress up, and compete in a beauty pageant they all organize. It’s bittersweet to see not only how these OFWs stick with each other, but also how the people they take care of actually become their families. Tear-jerking line: "Ang buhay ng OFW ay ibigay lahat para lang sa pamilya na naiwan sa Pilipinas."